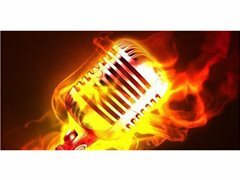 One - Man Band seeks R&B Reggae-Pop singer with 31/2 octave range to four 1/2 octave range for recording and live performances in Canada & USA. The singer must be able to perform 8-10 songs in every 45 minutes set for two-three times per week. The singer must be between the age of 19-35 and have a valid drivers license. The singer must be able to do rehearsals two to three times per week Saturdays and Sundays in the afternoons. The singer must be able to learn 8-10 songs within three-four weeks before the first rehearsal. The band agreement must be signed after confirming the first 45 minutes set of the singer performances.